"Mega in size, comfort, and warmth: this is as comfortable as it can get at basecamp, in a camper van or where light weight is not the main priority. MegaMat pioneers a new generation of self inflating 3D mats with a level sleeping surface from edge to edge. This feature combined with the luxurious thickness and simple inflation make it a synonym for comfort. 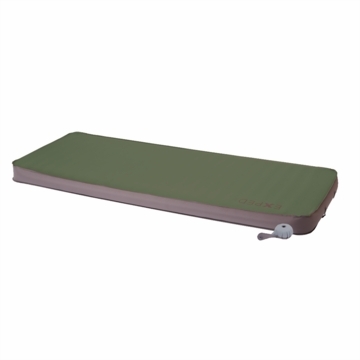 16 kg/m� opencell PU foam, Oekotex 100 certified"